Tips on how to get the most out of your live video interviewing experience. Are You Getting the Most out of Your Live Video Interview? Using a live video interview platform will automatically improve your recruitment process, but you might not be getting everything you can out of it. Unfortunately, as it is with most technology, users typically play around with the software before they learn all the different ways video interviewing is helpful. VidCruiter staff and clients have spent years using the technology. We know what the best practices for getting the most out of a live interview platform is and have compiled that information in this article. 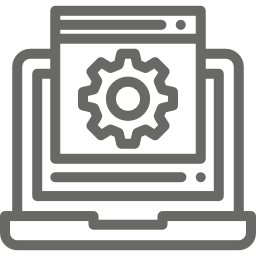 The best way to prevent technical difficulties during web interviews is to allow your applicants to perform a technology check. The problem is applicants won’t automatically know to run the check on the device they’ll be using before the interview begins. By customizing an email, explaining how to access the tech-check system, and sending it the day before an interview is scheduled to take place, applicants will have all the information they need to ensure they can perform the interview. Through the recruiter questionnaire tab, you have the opportunity to record your notes and ratings about an applicant and save it in the system while the live video interview is ongoing. By letting recruiters take their notes and record ratings during the interview, as opposed to after it is complete, you’ll eliminate the chance of a recruiter misremembering something the applicant said, which could result in an inaccurate score. If a company has structured rating and note guides, it’s also possible for users to preload these guides into the system. Doing this before an interview begins allows for a smooth experience for both the recruiter and the applicant. Despite notes and a detailed rating system, it’s still possible for a hiring project to be affected by a recruiter’s memory lapses. To avoid this as much as possible, recruiters can use the recording feature which comes with webcam interviews. By doing this, recruiters will be able to reference the interview after it’s complete and see exactly how the candidate performed, instead of just relying on memory and notes. While having a digital copy of interview notes is an advantage in itself, recruiters can take it one step further by utilizing certain built-in features. When recording the live interviews you can time-stamp your notes to specific moments in the interview. You’ll be able to review what you wrote then jump to the time attached to that note to see exactly what the candidate said, cutting down the detail your notes require. You can also share your time-stamped notes to other members of your team by adding it to the applicant profile. By doing the proper set up beforehand, you’ll be able to avoid a number of problems from occurring when trying to share your screen. The first thing a recruiter should do if they know they’ll be using the screen sharing technology in an interview is download the Google Chrome extension for VidCruiter Screensharing. Next, open up all the documents you are planning on sharing. Doing these two simple steps will ensure there are no delays in sharing the information with a candidate or any unnecessary lengthening of the interview time. Recruiters can use our mobile recruiting app to perform live video interviews, but if you want to access all the advanced features available, it’s better to use a computer. If recruiters opt to use a desktop or laptop with a microphone and webcam, they’ll be able to use features such as notetaking, rating, or screensharing, and make the most out of the system. The live video interview scheduling tool can eliminate headaches and improve the experience for both recruiters and applicants. You can customize the emails recruiters send to applicants so the instructions on how to schedule the interview are clear and concise. 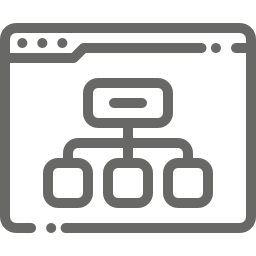 Also, if you set up a workflow so everyone who will be involved in the interview is invited and provided with all the documentation they need, the entire process will become a lot simpler. You can set up multiple reminders, as well, so everyone has the information they require at the right time. 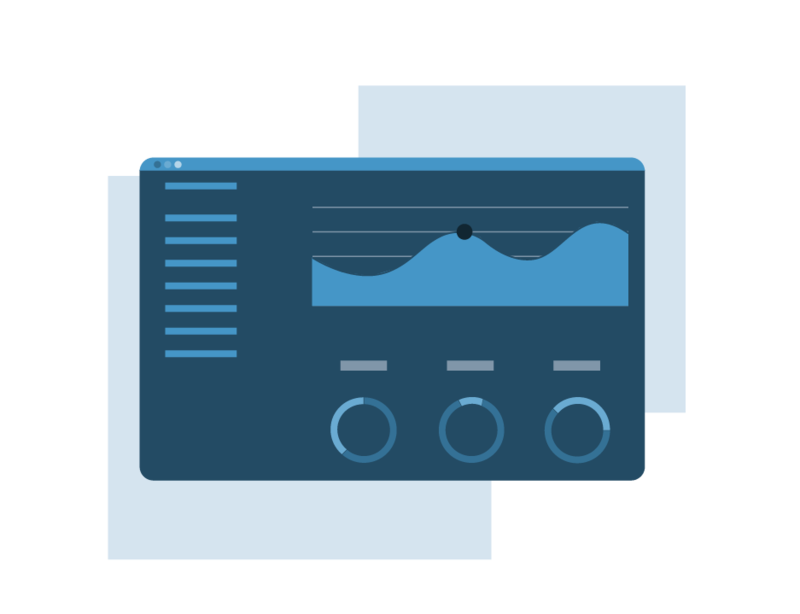 Included with the live interviewing software is an automated scheduling system. 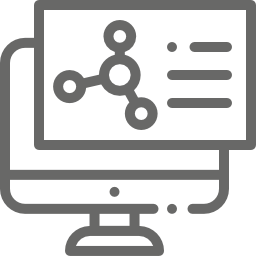 The system syncs with your Outlook or Google Calendar so you only have to work in one place. You select your available times to perform an interview and the candidates will be able to choose a time from what you’ve already made available. By eliminating the need to coordinate schedules, recruiters will be able to focus on the interview and not be bogged down with calls or emails asking for a different time. WebRTC allows the entire live video interviewing software to be performed in an internet browser, but for it to work properly you need to be using a modern internet provider. 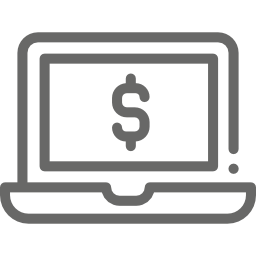 The system works best when both the applicant and the recruiter use Google Chrome, Firefox, Opera, Safari or Internet Explorer 11. To ensure ease of use, you should also check to make sure you’re using the latest version of your chosen internet browser. 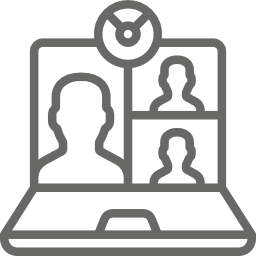 While you’ll be provided with a template detailing everything an applicant needs to know about using a live video interviewing system, it’s a much better experience if you change it to help make the applicant feel special. Since you can customize every email sent through your live video interviewing software, you have the option to delete irrelevant parts of the template or move up sections which are particularly important for the applicant to know. By slightly changing the template, you’ll be able to engage the applicant and provide a better overall experience. A panel interview with multiple recruiters can become confusing fast. Teams should assign one person as the lead interviewer and, if they want to share the question asking load, can assign people to ask questions at a certain time. To avoid unnecessary noise, you should also mute any recruiter who is not responsible for speaking at that time. If the recruiters need to communicate with each other, they can do so in the private chat section, which will eliminate the need to interrupt someone. If you have a hiring manager who just wants to join to meet the candidate, but not perform the interview, they can also join and then leave the room so the interview can continue. The tool also enables you to choose who sees what interview question and rating scale, giving you the power to only show the right questions to the right people. 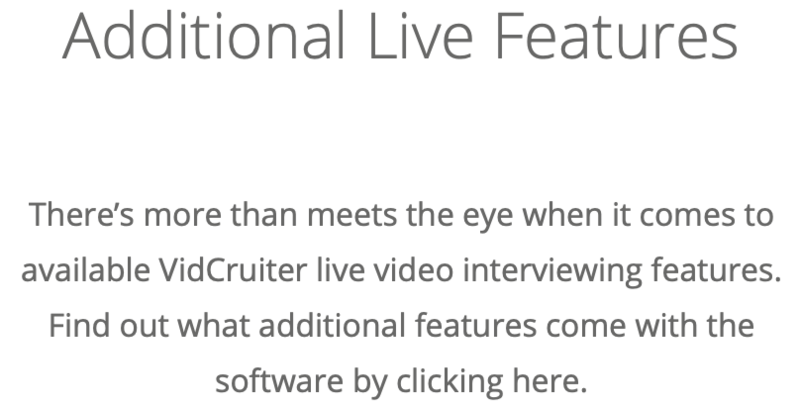 The WebRTC program used by VidCruiter’s software makes it easy to perform a live video interview through a web browser, but doing so can also cause some connectivity concerns. To limit the risk of having connectivity issues, you should close all internet browsers and tabs which are not needed for the interview. If there is a connectivity issue, all you need to do is refresh the page to start a new connection without having to restart the interview. 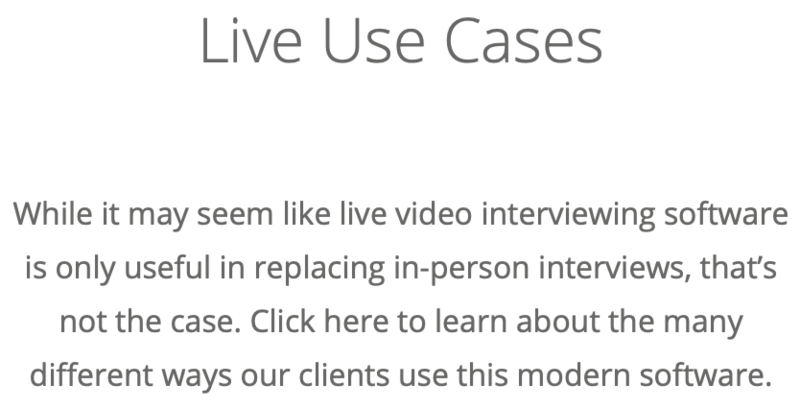 What Else Can I Learn About Live Video Interviewing? 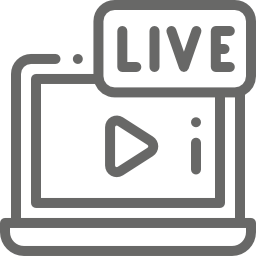 Our team of live video interviewing specialists can offer a variety of best practices, ensuring you get the most out of this recruitment technology. If you would like more information, sign up for a live demo. You can also look through some of the articles below or learn more about video interviewing.